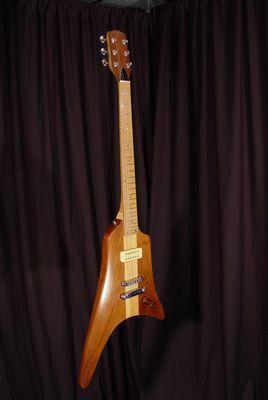 This guitar has a unique body style having gracefull lines which suggest flight. It is made with "neck thru" construction. Options include but are not limited to body wood, single or dual pickups wired in various configurations. This example has Maple neck and fingerboard. The body is Black Walnut. The body is Curly Black Ash.